You could also get announcements, invitations and exclusive offers by subscribing to our newsletter. 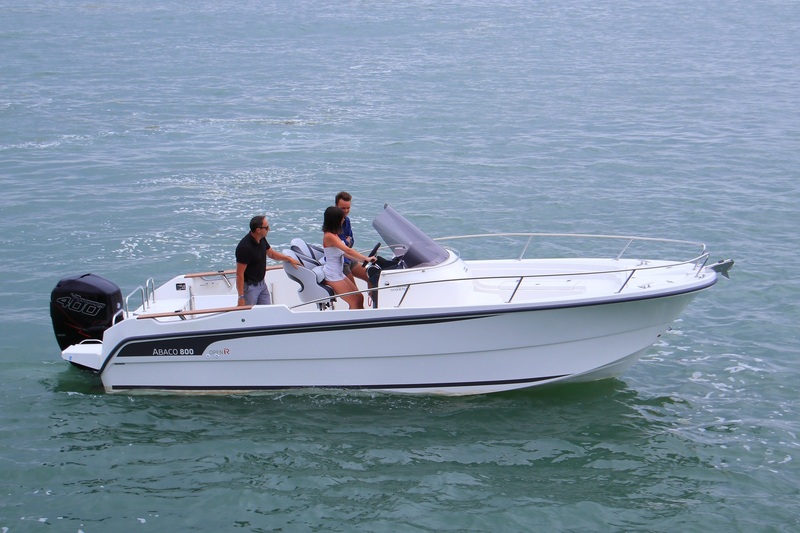 You will discover our new ABACO 800 OPEN, RACING version with VERADO 400 hp !! Will also be presented our last OSTREA 800 Outboard (300 EVINRUDE), our OSTREA 600 Outboard (135 HONDA), our OSTREA 600 T-TOP (150 SUZUKI), our OSTREA 700 Inboard (205 NANNI) and your TIMONIER 725 (150 HONDA). Salon NAUTIC de Paris, Porte de Versailles: from Saturday the 2nd to Sunday the 10th of December 2017 !! Come to visit us, Hall 3, stand B6: our new OSTREA 800 Outboard, Pilothouse and T-TOP versions, will be presented ! 4 of our wellknown models will also be there, Outboard and Inboard versions ! Cap d'Agde Boat Show in South of France: from the 28th to the 1st of November 2017. The new OSTREA 800 Outboard is just arrived ! !